Vancouver Limo Service is Ready for Your Big Days! Are you ready for the coming of the wedding season in Vancouver? Here is one tip for having a impressive wedding. Our Vancouver limo service supplies a lot of limos in different styles, which can meet your most needs. From sophisticated sedans, to luxury stretch limousines, fully appointed SUVs and vans, we’ve got what you need to help set the stage for your big day. No matter what your wedding style is, you can always find the best limo from Vancouver limo service. Whether you are looking for an elegant limousine for your bridal party on your special day or transportation for your entire guest list to and from your event, our limo service guarantees the vehicle models best suited to your party size and assure you of worry-free, prompt pickup and delivery. This summer, let’s help you to own a perfect wedding. Vancouver Limo Service will be a smart choice. Our Limo Service is Ready for Your Proms! Are you planning for a graduation party? Are you still confused which limo service you should select on the party day? We help you! 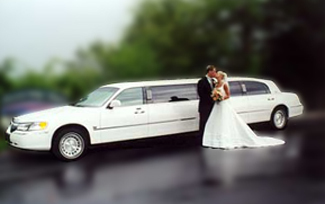 Vancouver limo service supplies many limos for your multiple choice. We can meet all your luxury needs, and make you become the most gorgeous graduate on that day. Your school time is definitely an amazing experience in your life, however, we promise that you would have an incredible experience with our limo services in your prom that you will never forget. Remember, the graduation is not an end, rather, it represents a start of your new life. Let’s build a fancy future with Vancouver limo service!